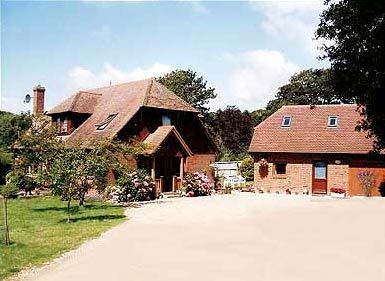 Situated in the delightful hamlet of Brook, and surrounded by farmland, the building is an easy 5/10 minute walk away from Brook beach, popular for kite surfing and wind surfing. Another 10 minute walk to the vast expanse of Compton beach. This area is a National Trust protected area of Outstanding Natural Beauty, and as such boasts some of the most captivating views the island has to offer. Compton beach itself in un-commercialized. There are both en-suite and non en-suite rooms. £25 - £35 per person per night depending on time of year.